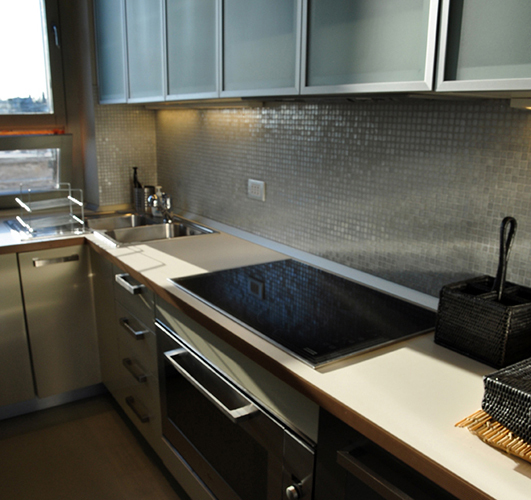 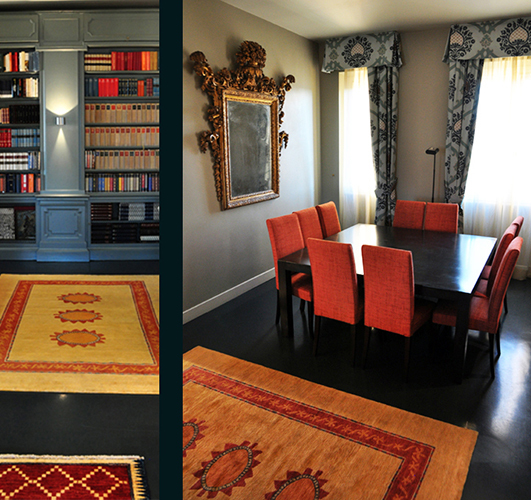 A thorough refurbishment of a top floor apartment in the centre of Rome. 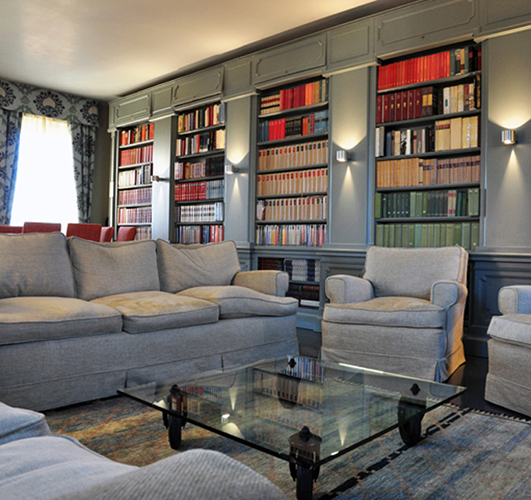 The inside area is dedicated to the family library and the entertainment of the guest. 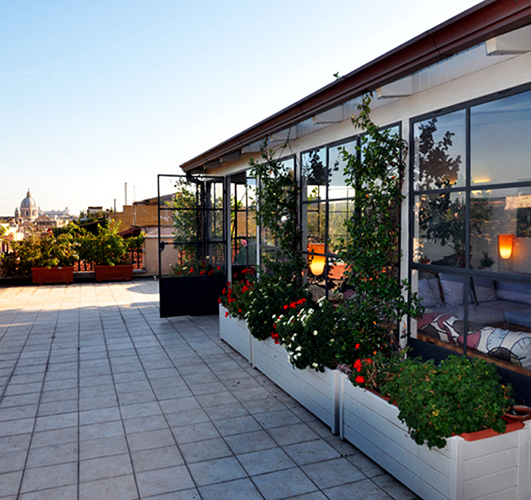 The outer space, composed by two terraces on different levels, is an urban garden. 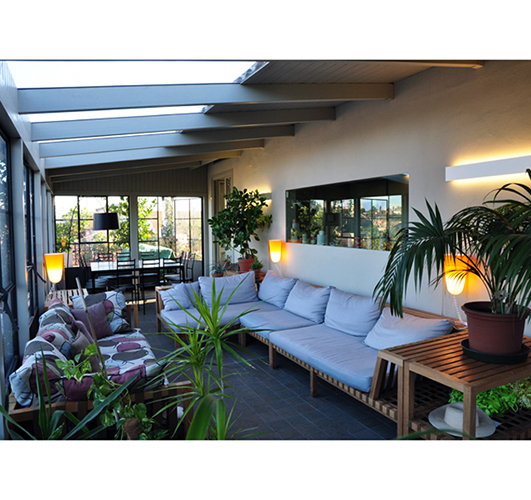 The veranda is the pivotal point of the space and creates the inside/outside conjoining and transitional element of the project.